Ichiran Rameeeeennnnnn! | To Be, To Be. Tutubi. 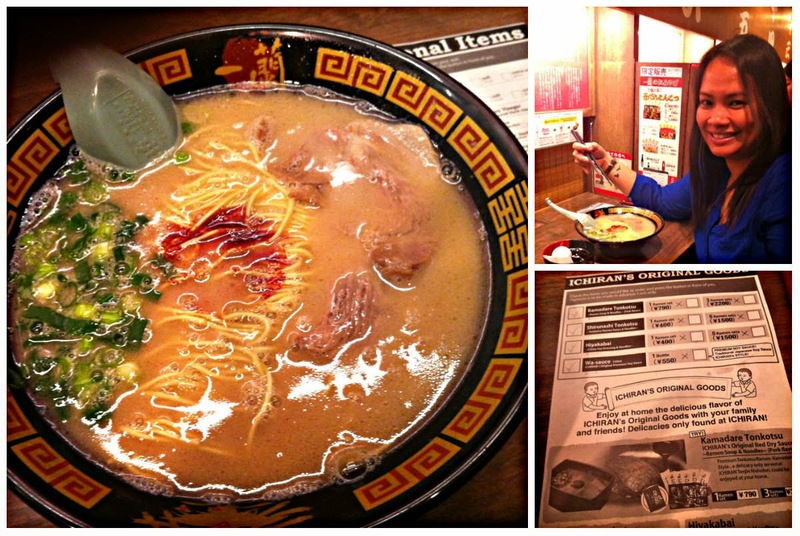 There are so many ramen stores now in the Philippines but sad to say, I have never been to one. I didn't think that I would miss a lot as we eat noodles in pouches at home, hahahaha. But of course, there is a world of difference between the two, and after eating at Ichiran in Shibuya, Japan, now I know what I have been missing! And the experience was quiet unique too! Okay, so the trip to Japan was for business, and since we had a full schedule, we know that we won't have many places to go. During one of the meetings, one of the guests recommended this ramen place that was a hot with foreigners and gave us a map on how to get there. 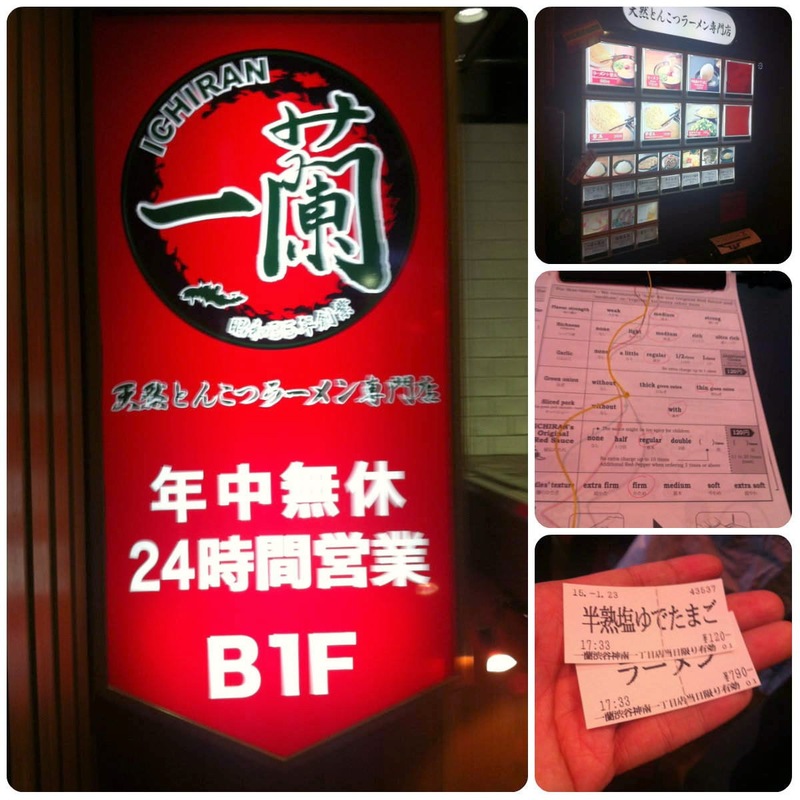 We were supposed to go to Ginza, but since this ramen place was in Shibuya, it was decided that we go the there. We had a photo of the ramen place and showing it to the locals for instructions was easy. It was just somewhere near the huge Zara store, in the basement. So we went down, and there was a line. 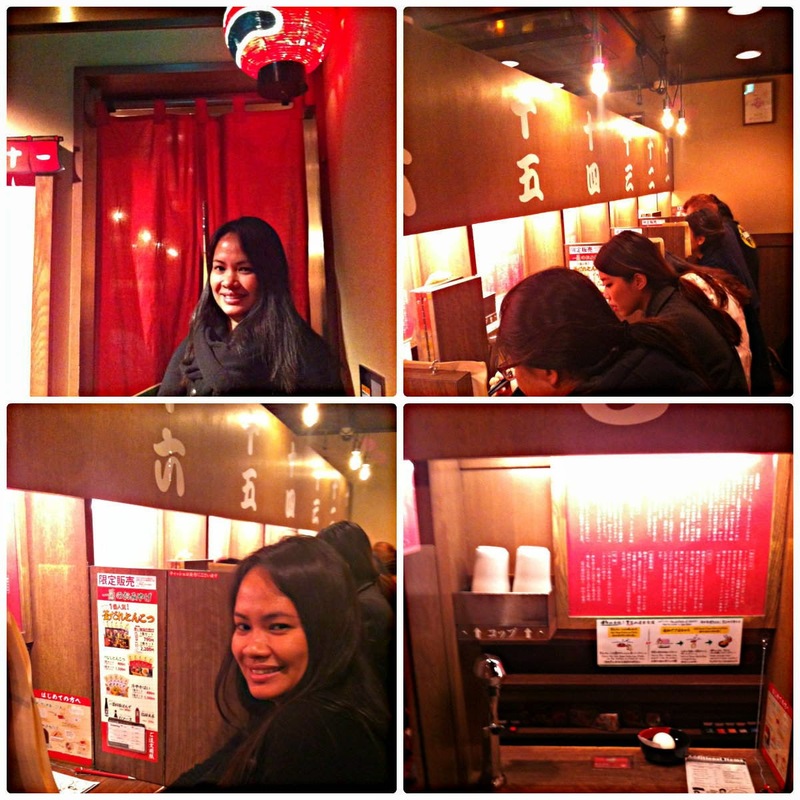 We ordered ramen in this vending machine for JPY790 (around P300). You have an option to add eggs, beef, nori, etc. You will get these small stubs after you order, and then you wait for your turn. Then you have to fill up this paper for how firm you want your noodles, how many garnish and how hot! This is just a small place so the lady was looking at the board showing how many seats were taken or vacant. When the light turns green, its your turn to go inside. There was just maybe 8 seats. You hang your coat at the hanger behind you and get ready for your order to be served. After a few minutes, the ramen was served. And it was the best ramen ever! Well it was my first ramen, and in Japan too! Talk about authentic experience! Anyway, you can still order half noodles or more eggs or more pork by just pressing a button. But one was enough for me! I was in ramen heaven! When we got back to the office yesterday, our boss asked us if we tried the ramen at Ichiran, We didn't know that it was that famous, hahahaha. So it was indeed such a great experience for me. And I am now looking at seat sale for a return trip to Japan!